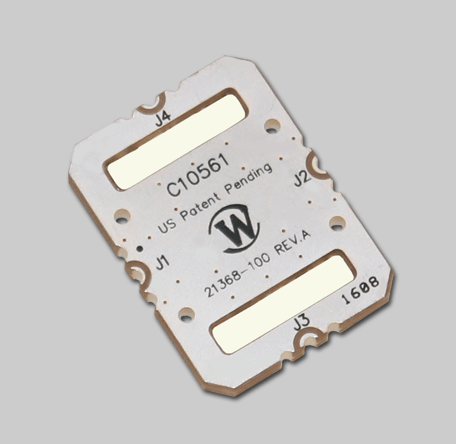 Werlatone introduces the first in a new series of 20 to 1000 MHz, Mismatch Tolerant 50 dB Dual Directional Couplers. The Model C10561 (SMT) is compact, and conservatively rated at 250 W CW. Outperforming any competing product, Werlatone’s design operates at approximately 30% the Insertion Loss (Less than 0.1 dB) and 65% less heat dissipation, in a smaller package. The C10561 provides superior main line and coupled port VSWR characteristics with Directivity better than 25 dB.